← How to add an overlay/stamp to a PDF file in PHP? 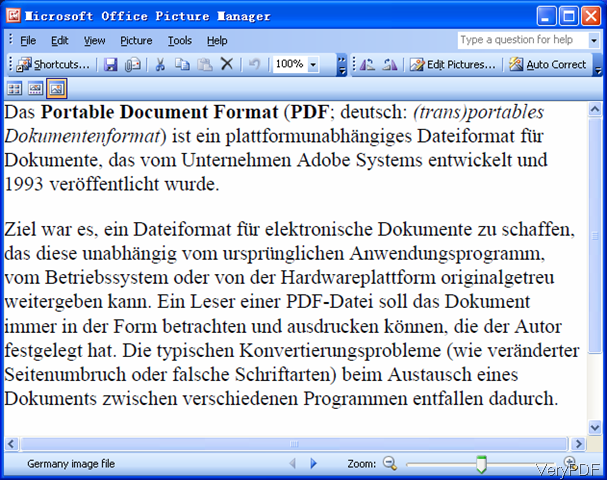 If you have needs of OCR image in German language, the following article will be helpful for you. In this article, I will show you one method of OCR image like PNG, JPG, BMP, GIF, PCX, TGA, etc. And when OCR image, this method supports more than 50 languages. 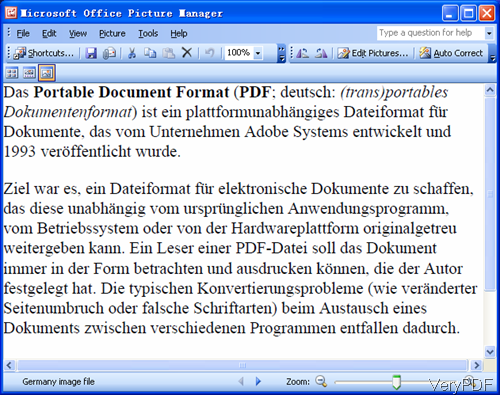 When OCR image finishes, it will output content in text document. The software I use is named as VeryPDF OCR Cloud API, by which you can convert images (PDF, TIF, PNG, JPG) containing text into editable searchable text-based documents (PDF, TXT, RTF, DOC, XLS, PPT, XML, HTML) in better quality. If you are interested in this software, please check more about it on homepage, in the following part, let us check how to use this software. VeryPDF OCR Cloud API is one of the cloud based application, if you already cloud API account, you can use this software directly. If you do not have, please register an account and then the API code will be sent to your email box. When registration, you need to input email address and user name. Please make sure to use the same email address when register VeryPDF Cloud API account and buy "Plan"online. VeryPDF Cloud API uses email address to identify unique account. Step 2. 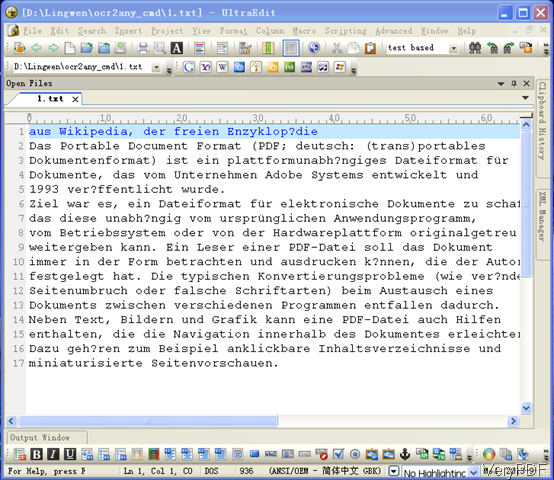 OCR image in German. When OCR image in Greek, please refer to the following URL. Please pay more attention to the structure of the above URL. http://online.verypdf.com/api/? is the main website API URL. apikey=XXXXXXXXXXXX, when you do the real OCR image, please change the apikey code to the real code in your email box or else there will watermark on output file or you can OCR many pages of input image. infile=, please input OCR image URL to the real image location on line. When OCR image in Greek language, please specify the language at the end of the URL. Please check the language parameter in the list. 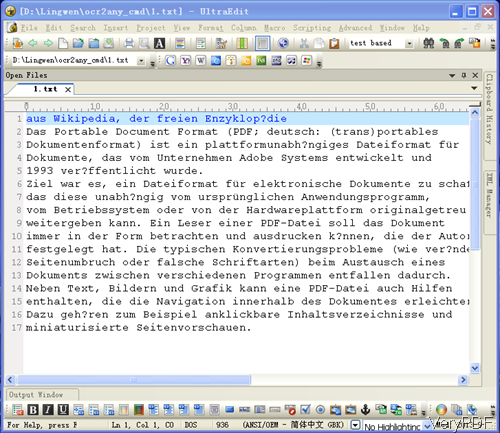 By this URL, we can OCR image tiff file in Germany to text. Now let us check OCR effect from the following snapshot. During the using, if you have any question, please contact us as soon as possible. How can I fix a PDF document that was scanned backwards? This entry was posted in VeryPDF Cloud API and tagged OCR image. Bookmark the permalink.